Published 2012/09/09 at 2896 × 1944 in Illumination Desk. This tree has a rather nice branch for sitting in. Every now and then I would climb up into it to get some writing done. 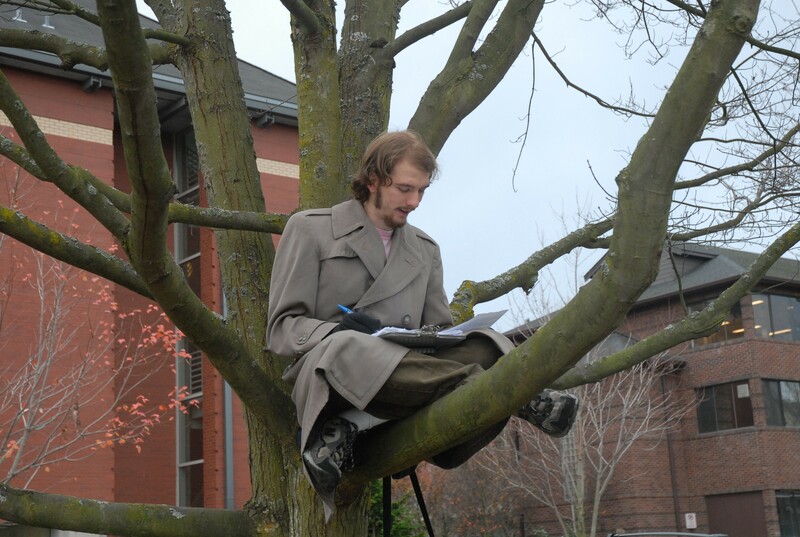 I didn’t do it often because I wasn’t exactly sure how campus authorities would take to discovering me writing in one of their trees. One of my friends took this picture with my camera.